Last week came news from Saga that it had ordered a 55,900-ton cruise ship from Meyer Werft in Papenburg, builders almost three decades ago, in 1986-92, of such well-respected ships as the Homeric, Crown Odyssey, Horizon and Zenith. The new Saga ship, for delivery in 2019, plus a possible sister for 2021, will join the eight “R” ships that set the precedent for this size of cruise ship in 1998-2001, along with Oceania Cruises’ Marina and Riviera from 2011-12 and the Viking Ocean Cruises trio of 2015-17. Compared to the ultra-luxury ships that have tended to occupy this size bracket in the past, these ships will prove that there is a market to be met between the mass market ships carrying thousands of passengers and the ultra-luxury ships that carry just hundreds. This new class of ship will bring back passengers whose needs have been ignored by the arrival of the very large mass-market ships. The big news last week was that Saga Shipping has placed an order with Meyer Werft of Papenburg for a 55,900-ton cruise ship, for delivery in 2019. Meyer Werft in turn is reopening its Number 1 building berth in order to undertake the work. An option for a second ship, if taken up, would see the delivery of a sister ship in 2021. The new vessel will have a length of 767 feet and a 101-foot beam, compared with dimensions of 777 x 105 feet on Oceania’s Marina and Riviera and 755 by 95 feet on the Viking Star trio. The latest Saga ship, and its first newbuilding, will carry fewer than 1,000 passengers in 540 suites and cabins, each with its own balcony. 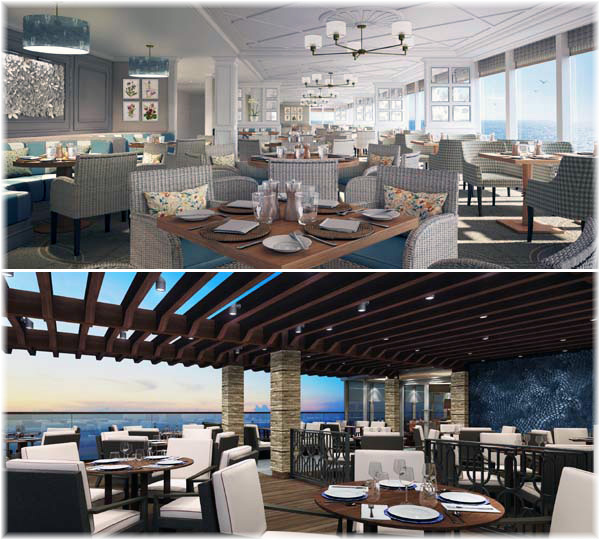 About 15% of cabins will be designated for single occupancy and the ship’s facilities will include outdoor and indoor swimming pools and single sittings in all restaurants. The design is said by some to stem from one that was first developed but not taken up by Azamara Club Cruises, but this has also been said about the design for the Viking Ocean ships. Whatever, the design’s provenance, Saga are consulting their clients closely and it is unlikely that they would be using a design first mooted for the American market. As a result of this consultation with its clients, it has been said that Saga will move back to the yellow and black livery that it first used rather than the shades of blue it has been using more recently. Seven years ago, on May 12, 2008, Mark Tré wrote in this column that, “In the head-long rush to build ships that carry 3,000, 4,000 or 5,000 people that give cruise lines the economies of scale that allow them to keep fares down, and with a proliferation of small ship deliveries, the medium-size cruise ship has been largely neglected.” But things have slowly turned around. The fleet of upper premium, i.e. not ultra-luxury, newly-built mid-size ships had stood at just eight for several years. These were the eight 684-berth “R” ships that Chantiers de l’Atlantique delivered to Renaissance Cruises between June 1998 and February 2001. Other ships were built for the ultra-luxury lines but these charged much higher fares. Renaissance went out of business after the events of September 11, 2001, when flight disruption meant passengers could not get to and from their ships, and after various periods in lay-up, the fleet was then divided among new owners. Over time, this meant three ships each went to Oceania Cruises and Princess Cruises and two to Azamara Club Cruises. It took a decade, but since that time, the market in mid-size newbuildings has finally shown a revival. First, Oceania built the 1,250-berth Marina in 2011 and sister ship Riviera in 2012. 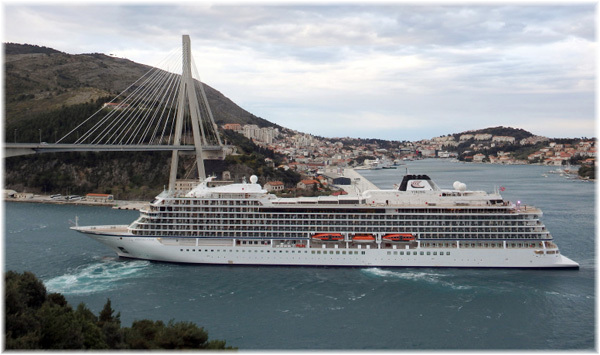 Viking Cruises then introduced the 930-berth Viking Star this May, with Viking Sea to follow in 2016 and Viking Sky in 2017. For a couple of years, Hapag-Lloyd Cruises experimented with the 684-berth Insignia as Columbus 2 but redelivered her to Oceania at the end of her charter. She is now solidly back in the Oceania fleet as their round-the-world ship, while the line is also to acquire Princess Cruises’ Ocean Princess in 2016, when she will be renamed Sirena. 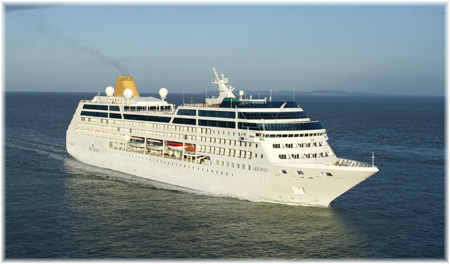 P&O Cruises too experimented with a medium-sized ship with the 700-berth Adonia, acquired from Princess Cruises as Royal Princess and previous to that, Swan Hellenic’s Minerva. This vessel, however, is about to be allocated to the new Seattle-based Fathom Cruise “social impact cruising” venture, with sailings from Miami to the Dominican Republic and Cuba, leaving P&O as a big-ship operator. Now, along comes Saga with the long-awaited announcement that it will be building at least one and possibly two new cruise ships that will carry fewer than 1,000 passengers. Saga has been filling its own 706-berth Saga Sapphire and 456-berth Saga Pearl II months in advance, as well as selling other cruise line’s product in third-party relationships. It has now decided that the time is right to announce its own newbuildings. 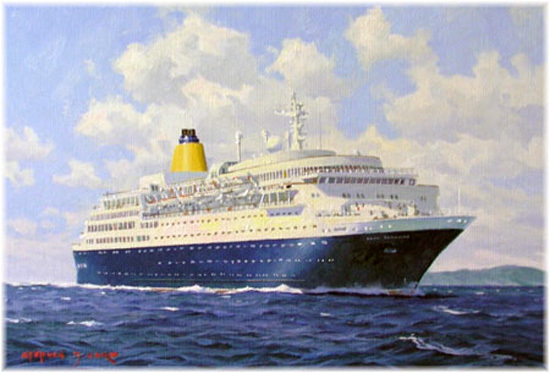 Back in 2008, in this column, Mark Tré reported that several European mid-market operators, Saga and Fred Olsen in the UK, Phoenix in Germany and Louis (now Celesytal) in Greece, had all investigated the possibility of building new medium-sized cruise ships in yards in France, Italy, Greece and even South Korea. Largely because of economic events in the intervening years, Saga now turns out to be the first of this pack to be able to do so. Along with two new ships for Oceania and three for Viking, the new Saga order brings this number up to half a dozen ships, and with Meyer Werft’s Number 1 berth back in action, this number will soon rise to eight, the number of Renaissance ships built twenty years earlier.